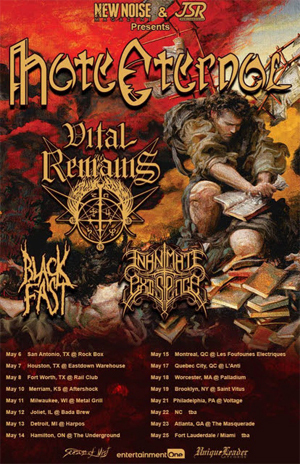 VITAL REMAINS have announced a US tour with their friends HATE ETERNAL for May/June. Tickets for all shows go on sale imminently. More dates to be announced soon.